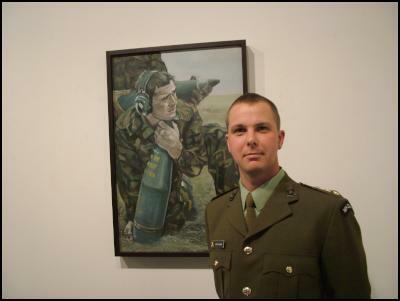 Captain Matt Gauldie, the New Zealand Army's official artist, last evening hosted the launch of his inaugural exhibition. 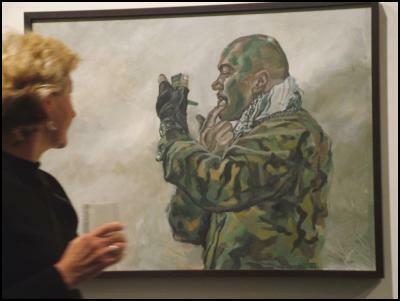 Scoop popped down to Captain Gauldie's opening and and took a few snaps while enjoying a couple of snacks. 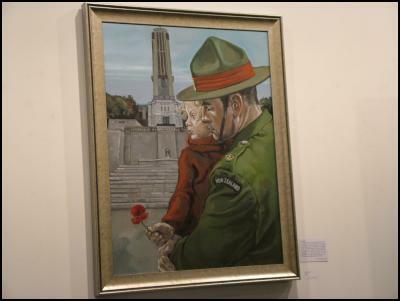 Titled 'New Zealand Army Art - images of courage, commitment, comradeship and integrity', the exhibition featured Captain Gauldie's works from his Unknown Warrior through to more recent works including his 'Recruit' series and 'Day in the Life of a Soldier' series which he has painted since his official appointment as Army's Artist in April 2005. 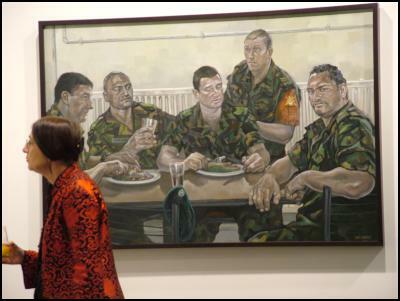 The Prime Minister Helen Clark in her role as Minister of Arts, Culture and Heritage opened the exhibition. 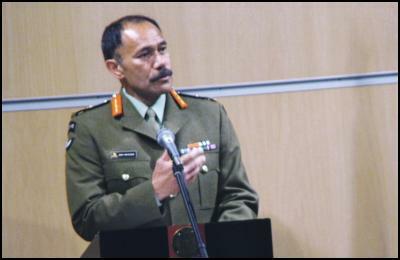 Also speaking at Mr Gauldie's exhibition opening was the Chief of the New Zealand Army and soon to be Chief of the NZ Defence Force Major General Jerry Mateparae. 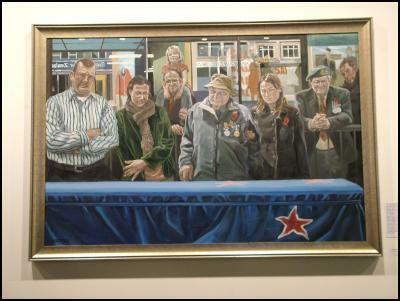 The exhibition also features selected works of Major Peter McIntyre and Major Ion Brown, both previous Army artists. 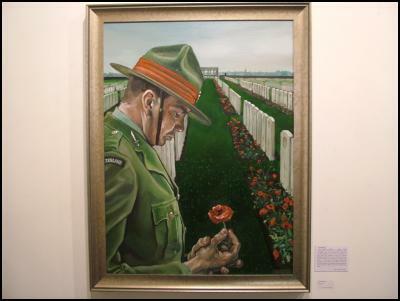 The exhibition is scheduled to run over the ANZAC period 19 - 30 April at the Academy Galleries, Queen's Wharf, Wellington. 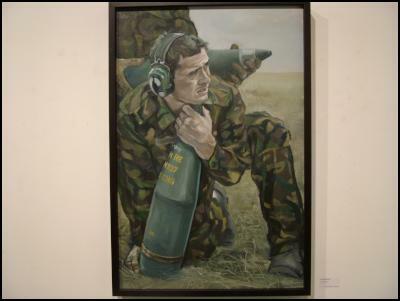 Find more from Kevin List on InfoPages.